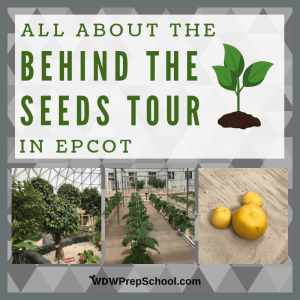 Disney is full of hidden gems, and one of our favorites is the Behind the Seeds tour at Epcot. This tour is relatively inexpensive (especially when compared to other Disney tours) and is packed full of fantastic information. Did I also mention that it is fun? If while riding Living with the Land you've ever found yourself going "What in the world?! How did they do that?!" this tour is definitely for you! The Behind the Seeds Tour takes place inside the same greenhouses and hydroponic labs that houses the attraction Living with the Land. So, it is a tour inside of a greenhouse inside of an attraction (which is very Inception-like). 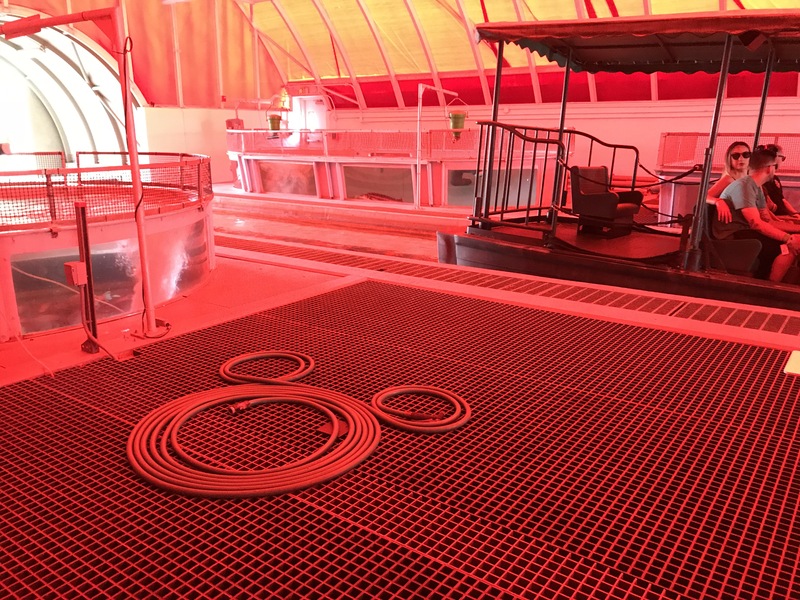 If you haven't visited before, the Living with the Land attraction is a boat ride whose focus is primarily on agriculture and new techniques and technology for making agriculture more environmentally-friendly and efficient. 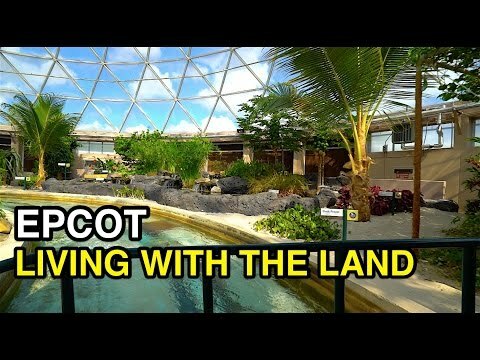 Living with the Land does have some haters (and we agree that there are parts of the attraction that are a little groovy and dated), but the greenhouse and fish farm portions of the attraction - which comprise the majority of the ride and are the focus of the tour - are fascinating to even those without green thumbs. 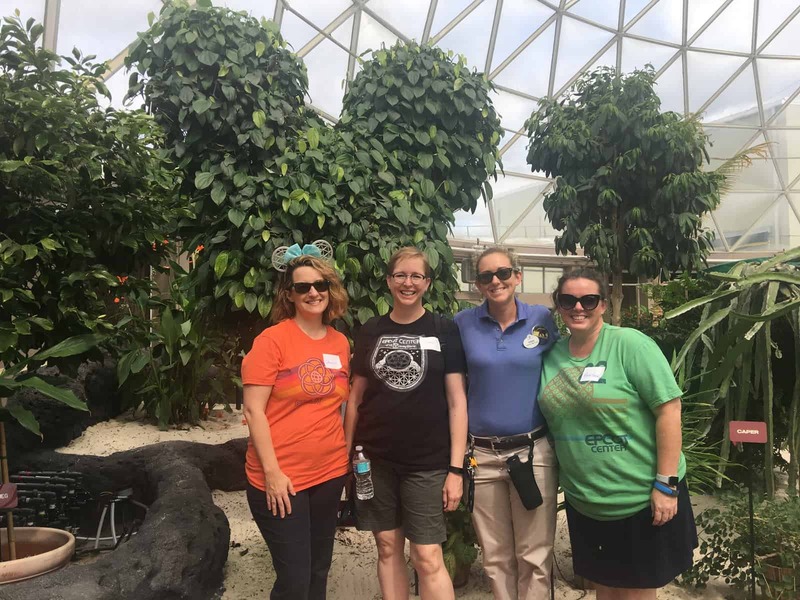 Disney typically does a good job using available opportunities to teach, and that learning-through-entertainment theme is part of the backbone of Epcot. So, it makes perfect sense that a tour centered around learning occurs here. 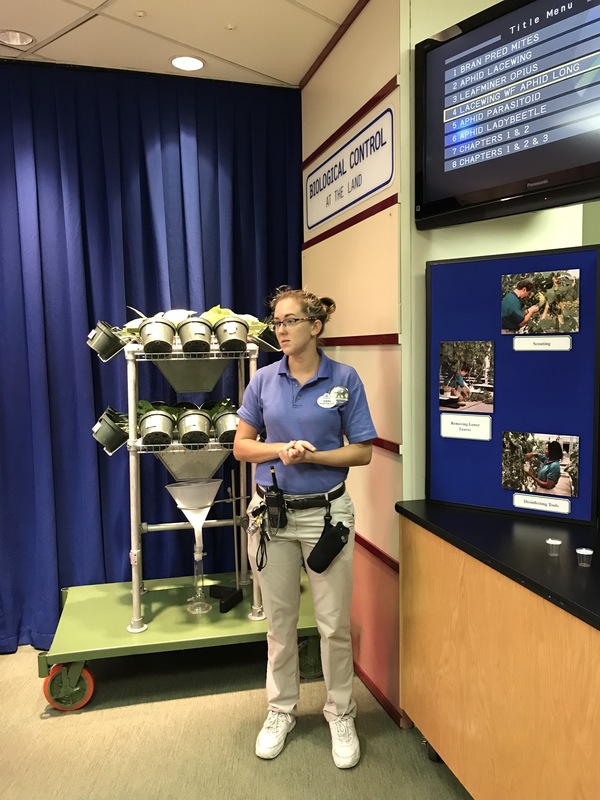 The tour itself, while not long, covers a wide range of cool scientific-y information, which isn't something you might expect to get at a theme park. Most tours on property are led by Cast Members whose jobs are primarily working in Guest Relations and being amazing tour guides with tons of historical knowledge. However, this tour is led by one of the horticulturists that works in the greenhouses. 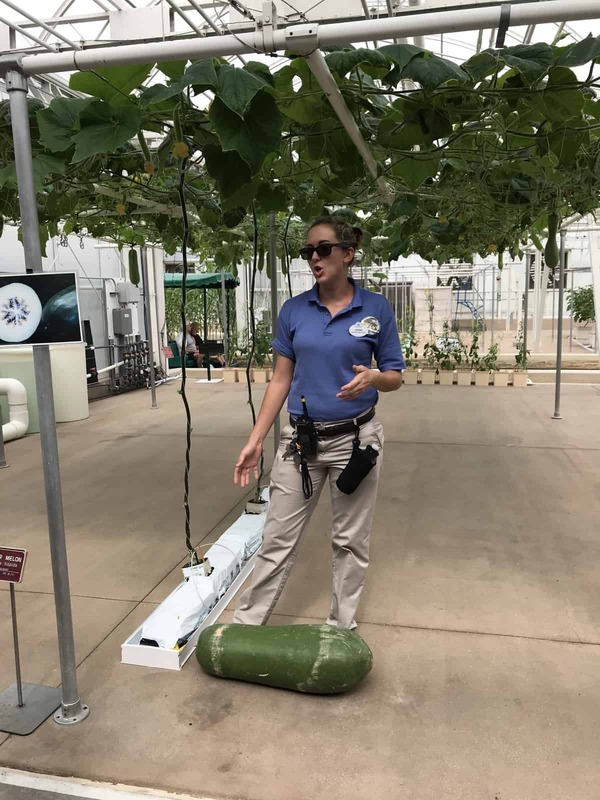 So, they are not only fantastic tour guides, they are also extremely knowledgeable about the plants and techniques they talk about. 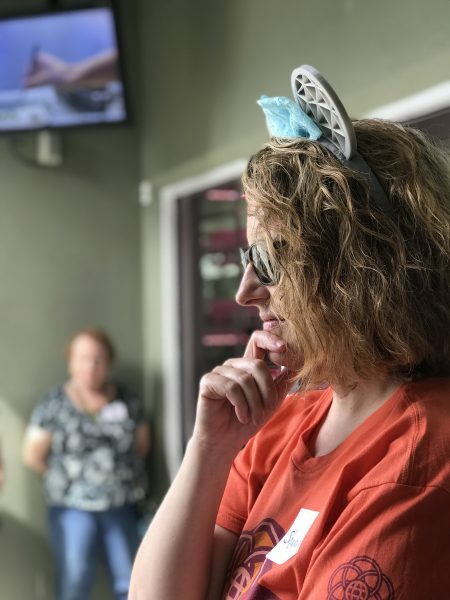 This tour is open to all ages; however, there is nowhere to sit and lots of standing and walking, so that is something to think about when deciding if your kids will enjoy it. Plus, the topic, while interesting to some kids, is probably not interesting to the majority of them. Bottom line: although the tour isn't long ,it will feel extremely long to them (and consequently to the other guests!) if they aren't interested in the topic, so choose wisely. We highly recommend this tour to anybody that is interested in plants, gardening, or anybody that is a fan of Living with the Land. Older kids and teenagers might enjoy it, too, especially the part about basically being "inside" an attraction while guests are floating by. The tour lasts about an hour, so including check-in time (you check in 15 minutes before the start of the tour) and time to hit the bathroom after you're done, you'll want to set aside about 90 minutes. The price of the tour is $25 for adults and $20 for children (ages 3-9), which in the world of Disney pricing is quite reasonable. 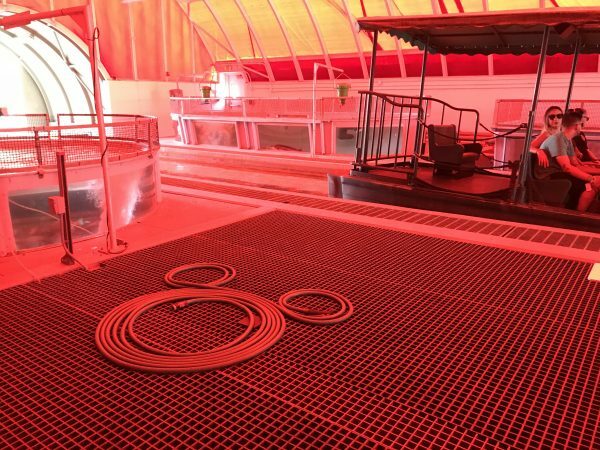 Frequently, guests that are Passholders, those that own Disney Vacation Club, and Disney Visa Card Holders can find discounts for the tours, so be sure to check on that before you book. 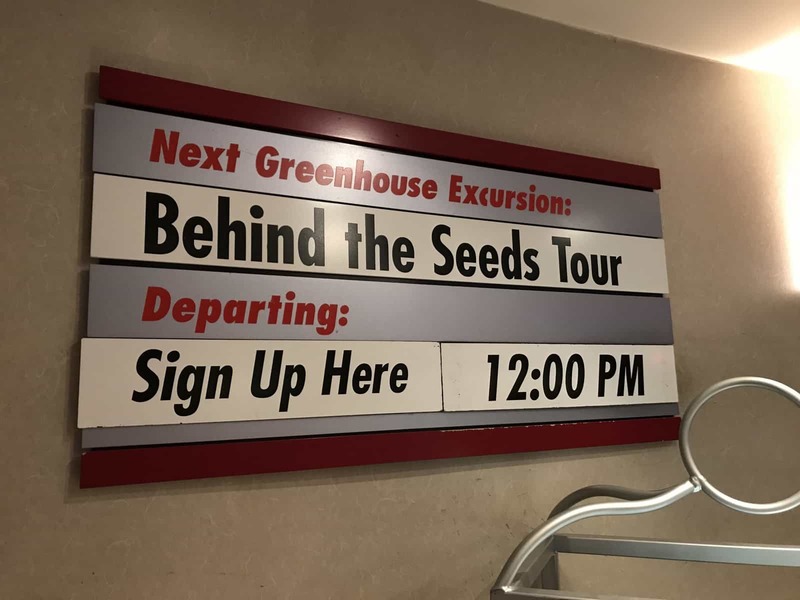 The Behind the Seeds tour takes you into the greenhouses of The Land Pavilion and gets you up close and personal with everything that is grown there. While there are some portions where I guess you are technically "back stage," for large parts of it you are actually "on stage" where all the guests on Living with the Land can float by in their boats and see you. When it comes time to book you'll have a couple of options. First, like with any Disney World tour, you can book it by phone by calling (407) WDW-TOUR. We'd recommend you do that if you absolutely know you want to do the tour, especially if you are limited to only a certain day or time. But, if you aren't really sure if you want to do it, you may want to think about waiting to book until you are there. 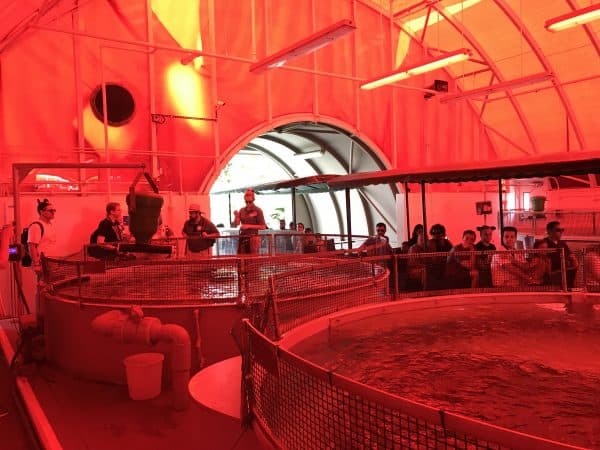 This tour is offered more frequently than others (usually around 9 times per day) and because of that, there tends to be more same-day availability than you'd find with other tours. We only recommend the wait-until-you-get-there approach if you won't be heartbroken if the tour is sold out, but for anybody who isn't positive if they want to do it OR for those that find themselves with a little extra time on an Epcot day, adding in this tour at the last minute is a good option. You'll be asked to check in for your tour about 15 minutes before the official start. Check in is located near Soarin', and the giant sign on the wall makes knowing where you go easy to spot. After you check in you'll be given a name tag and directed off to the side near some restrooms (and it is probably a good idea to make use of those before the tour starts). The tour takes you through 4 greenhouses, but the first stop is in a room where the guide discusses pests and pest management techniques. 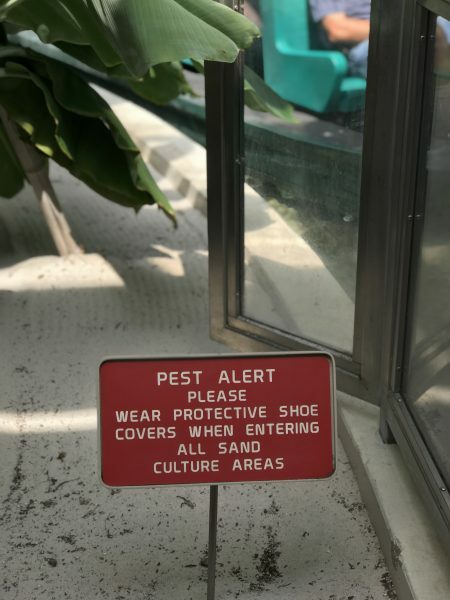 If you have anybody squeamish about bugs you might want to give them a heads up, but the bugs are all behind glass or in pictures so it wasn't overwhelming at all. Even though we weren't to the super-cool stuff yet, we were all really engaged with what our tour guide was saying. After you learn all about pests, it is off to the greenhouses! This portion of the tour is probably the reason most people book it. The greenhouses aren't like anything you'll probably see at your local nursery, and it is cool to know that the food you see growing is used in the restaurants of The Land Pavilion. Our tour guide did an excellent job explaining exactly how things work and why they were trying the things they were doing. In addition to the plants, we also got to get up close to the fish, and anybody that wanted to could feed them. 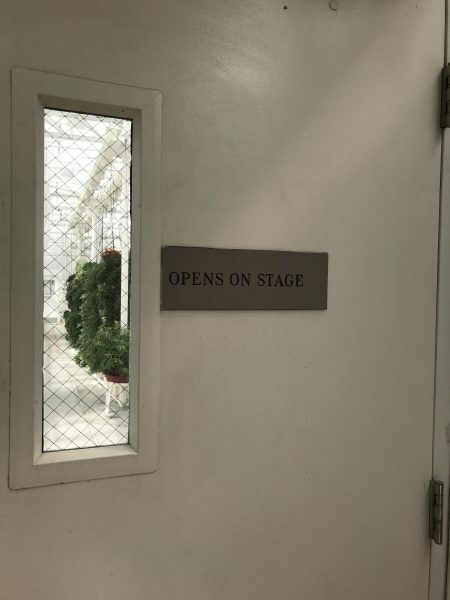 You can see by the photo below how the tour really is right there on stage for everybody on the Living with the Land attraction to see! An hour may seem like a long time to talk about plants but the time really did fly by. Four greenhouses is a lot of stuff to go through, but the pace never felt rushed and our guide never hesitated to pause to answer questions. She did a fantastic job and we all walked away knowing more than we did going in, plus, we had a lot of fun. Definitely 2 thumbs up from our group! This tour would be interesting for lots of different people: gardeners, giant fruit aficionados, people that like plants that grow in the shape of Mickey heads, those that like to be a part of an attraction, etc. 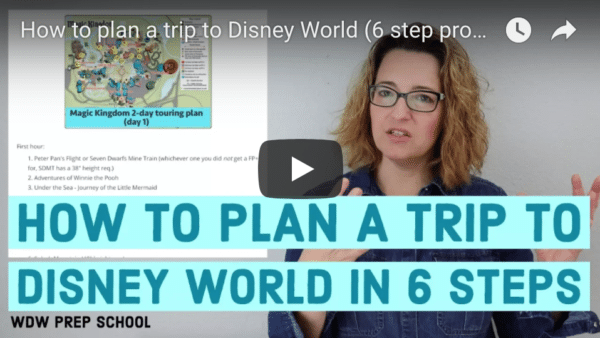 The low cost makes it enticing for anybody looking to check out a Disney World tour without paying the larger price tags that you'll find on some of the other tours that are offered. We paired this tour with a brunch at Garden Grill which gave us an entirely different perspective on Living with the Land (since that restaurant looks over the attraction and slowly turns while the boats float below), and it was the perfect setting to talk about all the cool stuff we saw. If that is an option for your trip, try to book your reservation about 15 minutes after your tour is scheduled to conclude. 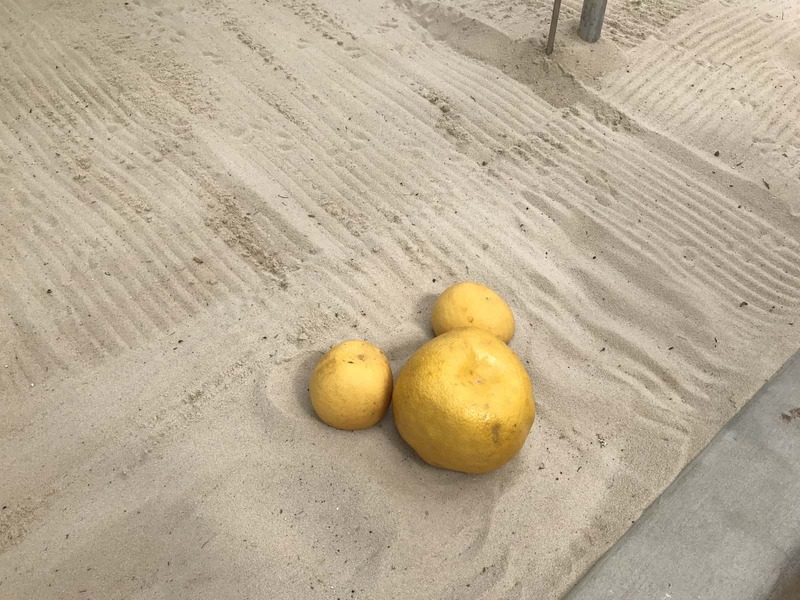 Have any questions or thoughts on this or any tour at Disney World? Let us know in the comments.